Telecommunication is the exchange of information over considerable distances by electronic channels. A single telecommunication circuit includes two stations, one considered as the sender and another isreceiver. The sender and receiver at any given station could be combined into one device. The medium of signal transmission may beelectric wire or cable also called “copper”, optical fiber or electromagnetic fields. 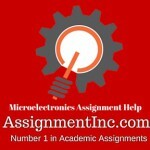 The free-space transmission and reception of information by means of electromagnetic fields is called wireless. The easiest type of telecommunications occurs between two stations. Nevertheless, it is not unusual for multiple receiving and transmitting stations to exchange information among them. This kind of association is known as a telecommunication network. The Internet is the biggest example of it. 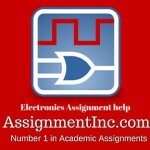 Information is carried with an electric signal known as the carrier wave in a telecommunication circuit. In order for a carrier to carry information, some kind of modulation is necessary. The way of modulation may generally be categorized as either digital or analog. In analog modulation, some part of the carrier wave is varied in a constant manner. Analog modulation is predated by digital modulation; the first type was Morse code. During the 1900s, tons of new types of modulation were developed and deployed especially during the so called “digital revolution” when the usage of computers among average citizens became prevalent. In certain circumstances, a broadcast network comprising one transmitting station and multiple receive-only stations is considered as a type of telecommunications. Television broadcasting and radio are the most typical examples. It started with the creation of the telegraph in 1837 followed by the phone in 1876. Radio broadcasts began the first television transmission which was started in the early 1900s. Now, the Internet and cellular phone networks are considered as the popular types of telecommunications. Now, cable and phone companies use these same mediums, although most transmissions are at present digital. Due to this new telecommunication, wiring is done with optimized cables for digital communication including digital phone lines and fiber optic cables. Since both analog and digital communications are derived from electric signals transmitted information is received nearly instantaneously no matter the space. This enables individuals to rapidly communicate with others around the road or across the earth. For making it possible, so whether people are watching TV, sending an email to a coworker, or talking on the telephone with friend, people can thank telecommunications. In the last decade, the market has seen far reaching changes together with the introduction of competition into a sector that was once largely a monopoly. Telecommunications Policy is concerned with all the purposes of Information and Communication technologies (ICT) in the market and society. The journal is multidisciplinary and international, encompassing theoretical, conceptual and empirical studies, quantitative in addition to qualitative. Its range includes ICT market; policy, regulation, government; innovation, entrepreneurship, direction and use. These matters may be explored by contributions at regional, national and international levels including problems facing both developed and underdeveloped countries. 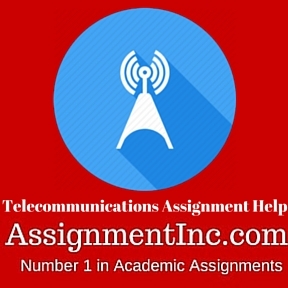 Our telecommunication assignment help is an internationally recognized centre for research on telecommunications problems and trains students for careers in the telecommunications sector. The overarching aim of the section is to conduct research and outreach that enhanced the performance of telecommunications in modern society and to prepare educated, responsible professionals for leadership roles in telecommunications. Students in the leading research current business practices and essential theories with an emphasis on acquiring the abilities needed to become business leaders. Through hands-on, real-life experiences students imagine and finish projects such as webcasts of the yearly Penn State Dance Marathon (THON) as well as the Homecoming parade. A large number of individuals view those occasions all around the globe. Students may focus in sound and video production, entrepreneurship, management, law and policy, and international telecommunications. In the telecommunications field that is quickly evolving, students are ready to work in the telecommunications sector in various capacities. The purpose of the new law would be to let anyone enter any communications business. Telephone service will be affected by it such as local and long distance, cable programming and other video services, transmission services and services provided to schools. The Federal Communications Commission has a fantastic function to play in creating reasonable rules for this new age of rivalry. At this Internet site, we will provide information regarding the job of the FCC in enforcing this new law, how these changes might affect people and the way they can get involved. The planet is growing more and more interconnected as well as the quantity of information is staggering. Authorities, corporations, and individuals are seeking telecommunications professionals to design, manage and secure telecommunications systems and networks. 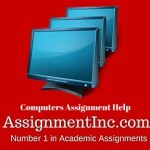 These professionals will need in-depth knowledge of more than simply the technology. They will need to get associations and the individuals who will use and profit from that technology. 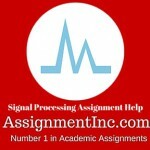 Our telecommunications assignment help service includes lessons in management information, systems and network design and wireless systems, network security, management and policy, and human communication and information processing. 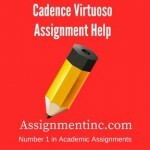 Therefore, our telecommunications assignment help is one of the leading assignment help services of this industry. We have pool of talented professionals who have degrees, skills and experience regarding telecommunication area. 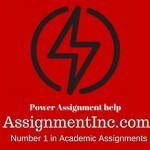 Our experts provide professional as well as informative transmission assignment help service at our assignmentinc.com. 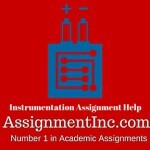 Our assignment help is available in reasonable prices so that one might avail our solutions for telecommunications easily.